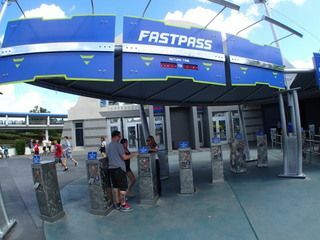 FASTPASS and FastPass+: What’s the Difference? With the legacy paper FASTPASS program about to go the way of Horizons and [insert the name of your favorite defunct Disney attraction], I thought this would be a good time to review the differences between the old system and the new. My last paper FastPass. Sniff, sniff. Here is a roundup of how legacy paper FASTPASS (FP) and FastPass+ (FP+) are different. With FP, you had to get your ride reservation in the park, on the day of your visit. With FP+, some guests can make ride reservations as early as 60 days prior to their trip. With FP, all guests had equal ability to obtain ride reservations. With FP+, guests of the Disney resort hotels have priority ability to get reservations. With FP, you could Park Hop and get ride reservations at more than one of Disney’s theme parks during a single day. With FP+, you are limited to obtaining ride reservations at one park per day. With FP, you could get a ride reservation, use it, and then get another reservation for that same ride. The only limit was FP availability and the guest’s stamina. With FP+, the computer system only allows you to make a reservation for a ride once per day. With FP, the upper limit of ride reservations was just the number of hours in the day. 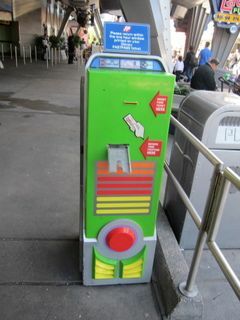 With FP, guests had to physically visit a machine at each attraction to obtain a ride reservation. With FP, the Magic Kingdom had 9 attractions (mid-2013 number) for which you could get a reservation. With FP+, the Magic Kingdom has at least 25 attractions (early-2014 number) for which you can get a reservation. Disney will have to change a lot of signage. 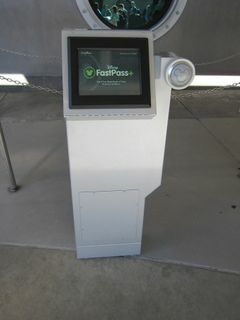 With FP, the pass machines at the attractions controlled your reservation time. 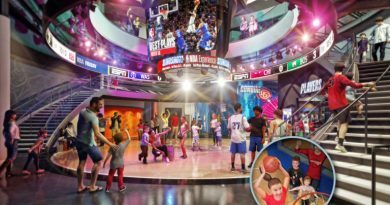 The only way to influence your reservation time was to stand at the attraction and wait for a later time if that was possibly more convenient for your party. Basically, it was a “you get what you get” situation. With FP+, pending availability, you control the timing of your ride reservations. With FP, once you got an attraction reservation time, you were stuck with it. With FP+, pending availability, you can change the attractions for which you have reservations and you can change attraction reservation times. With FP+, if you know you’ll be arriving at a park late in the day, you can make an afternoon or evening ride reservation time in advance, securing your ability to ride without a wait. New FP+ kiosks are being moved into place. With FP, barring major opening/closing events, the attractions for which reservations were available generally remained static from day to day. With FP+, Disney has the ability to change the attractions for which reservations are available on a daily, or even hourly basis. For example, Disney might decide to make Wishes a FP+ attraction only on weekends. With FP, you could share your paper passes within your party. For example, if Anna loved Maelstrom but Elsa hated it, Elsa could use her park admission to get a FP for Maelstrom and then give it to Anna, allowing Anna to ride twice (possibly twice in a row). This does not impede Elsa’s later ability to acquire reservations for rides she enjoys. With FP+, it becomes more challenging to share ride reservations. Theoretically, Elsa could make a reservation for Maelstrom and lend her card or MagicBand to Anna, allowing Anna to ride twice. However, two problems come along with this. One, if Elsa gives her ride reservation to Anna, then Elsa permanently loses one of her possible reservations for the day. And two, if Elsa wants to give her ride reservation to Olaf (he likes it even more than Anna does, snowmen are like that), when Olaf takes Elsa’s MagicBand to the FP+ terminal, the cast member attendant will see his monitor read “Elsa” when a male snowman goes through. This is potentially awkward. With FP, if you were unable to use a ride reservation, you could give your paper ticket to a stranger in the park. This was a nice bit of Pixie Dusting It Forward. With FP+, if you’re unable to make it to a ride reservation, you can change it to another time or another ride for yourself, but you’re not going to give your MagicBand to a stranger to let him use your reservation. Bye, bye random act of kindness. 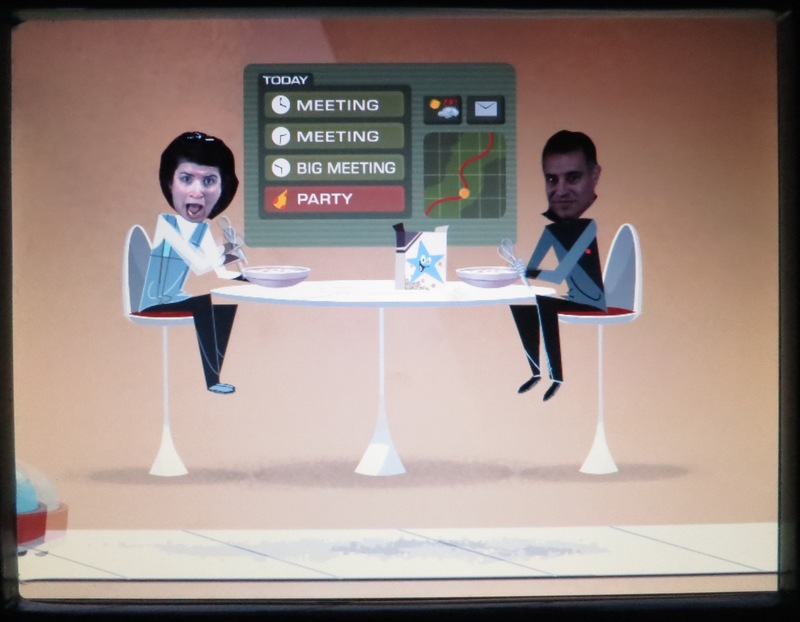 With FP, if you couldn’t use your ride reservation and there were no strangers around to be nice to, then you could put your paper ticket in your scrapbook as a nice illustration of your vacation. With FP+, there’s one less free Disney souvenir. With FP, if you missed your reservation time, you lost that reservation forever. With FP+, if you miss your reservation time, you maintain the ability to use that reservation. Use an in-park kiosk or your smartphone/tablet to change the time or attraction of an unused reservation, even after the reservation time has passed. With FP, the vast majority of attractions with reservation availability were headliner rides, plus a very few character greetings. With FP+, the most attractions with reservation availability are still rides, but many of them are smaller or less popular rides. Additionally more character greetings, shows, fireworks, parades, and even a restaurant (Be Our Guest) have reservations available at least some of the time. Lots of cast members are available to help during the FP+ transition. With FP, if the passes for an attraction became fully dispensed, there would be no more reservations available for the day. There was no use checking back. With FP+, if guests make reservations for an attraction, it may appear that the attraction is fully booked. But if guests then cancel/change their reservations during the day (I’ve done it myself many times, even for headliners), then those reservations will become available to other guests. Keep checking back. With FP, you received a paper ticket as proof of your ride reservation. If you physically lost the ticket, your reservation was gone. With FP+, your ride reservation is retrievable from the Cloud. Even if you lose your card or MagicBand, you can get a new one from Guest Services and still have access to your ride reservation. With FP, it was possible to have your ride reservation be totally anonymous. If you paid for your park ticket with cash, you could insert that ticket into FP machines, get paper passes, and Disney would gain no information about you or your habits. With FP+, you have to create a Disney account to make a ride reservation and use an RFID enabled card/band to claim the reservation. Disney is collecting lots of data about you. With FP, you could get ride reservations for any combination of rides you wanted. With FP+, guests are presented with a tiered ride selection process at some parks. For example, at Disney’s Hollywood Studios, some attractions are in “column A” and some are in “column B.” You are allowed three FP+ reservations, but only in a configuration with one from A and two from B. 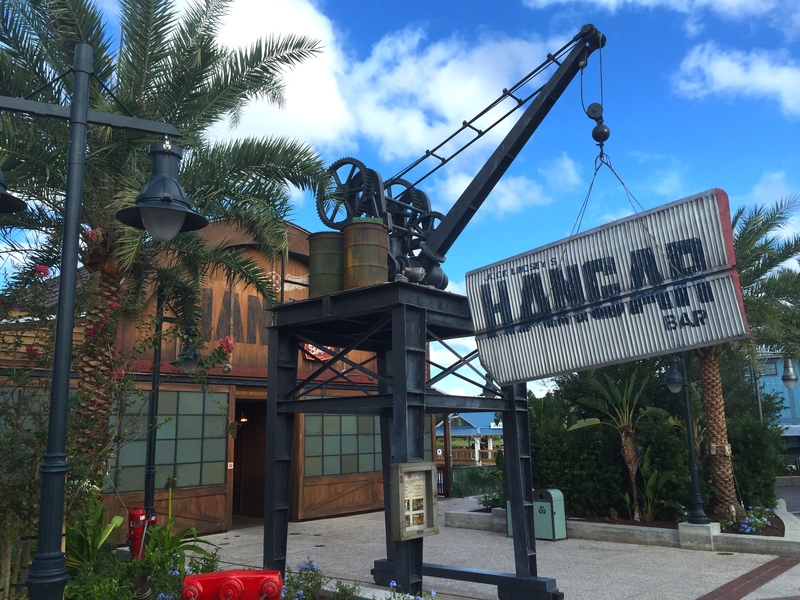 The tiered structure prevents guests from making FP+ at all of the headliner attractions. Epcot has also used the A/B selection process. Please bear in mind that FastPass+ is still in its infancy. The program is in flux and changes can happen at any time, possibly without warning, so take everything you learn with a grain of salt. 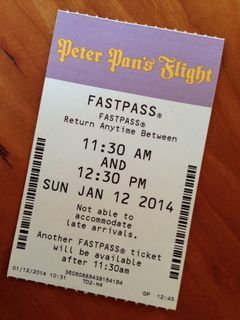 So pass wranglers … have you spotted any other differences between the FASTPASS and FastPass+ programs? Are you putting a few old paper passes in your safe deposit box so you can sell them on GoogleRetinaAuctions in 2058? Have you scheduled extra sessions with your therapist to work through your paper FASTPASS grief? Should I Bring My Kids On My Disney World Vacation? Interesting. During marathon weekend I had 3FP+ reservations at Epcot. I learned that friends were at DHS, so I cancelled my (unused) reservations and then selected 3 attractions at DHS. Easy peasy. I had not heard of people being able to do similar once one of the three FP+ reservations had been used. I’d love to hear that guests are not “locked in” to a particular park once they’ve used one of their FP+ selections. Guests – please let us know if you have this experience. I used one of 3 in December in Hollywood Studios. Later that day we went to Magic Kingdom and I was able to make 3 new FP+ selections. We felt very sneaky but used and enjoyed our freebies. Just a thought… The day we were able to use FP+’a in 2 parks there was an issue in HS as R&R Coaster was offline (& we had FP’s for that). As such they replaced R&R FP+ with ‘any attraction’. While this (possibly) explains our park hop that day, it doesn’t explain being able to do 4 FP+ attractions. In fact my husband did 5 as he had also done TofT at HS with a FP+ that morning. Cast members have explained to me that FP+ is 3 per day at ONE park. There didn’t seem to have a point in paying extra for Park Hopper. Bummer. It did seem too good to be true. I may have missed it, but I didn’t notice a mention of tiering. Under Legacy FP, you didn’t have to choose between, say, TSM and RnRC; you could pull a TSM FP at rope drop and when your FP window re-opened, you could pull a RnRC FP. Under New Coke–er, FP+–you must choose one or the other since they’re in the same tier–even if there’s availability for that other attraction, no soup for you. Excellent point! Thanks for the reminder. I’m going to add that to the post. Can offsite guests make reservations on smartphone (my Disney experience) once in parks or are they limited to kiosks? Mary, we were staying offsite last week and visited MK after they went to full FP+. We could only make reservations or change reservations at kiosks. Thank you. Didn’t think so. For info, I’ve just booked through the WDW travel company in the UK for later in the year and they’ve said I can make FP+ reservations 90 days ahead. Interesting. That’s the first I’ve heard anyone mention a 90 day number. Thanks for sharing the info. Also I spoke to 2 different Disney reps during my booking and both mentioned 90 days which bodes well. So maybe he was muddled, or maybe there’s talks of it changing, who knows. Interesting. My guess is that for departures after a certain point it’s 90 but prior to that it’s 60. Total guess though. Thanks for this excellent, thorough, and balanced summary! I think that many people have been focusing almost exclusively on the features of legacy FP that they’re going to lose (like being able to get as many FPs as they want), to the exclusion of new features with FP+ (like ability to choose your own reservation time rather than being given a time). Your post makes me feel that, on balance, FP+ will turn out to be an advancement over legacy FP. I think this is a good summary of the differences between the 2 systems. I still think FP+ would be an improvement if they let us have more FP (say, 6 per person?) and removed the tiering. Unfortunately, I don’t think Disney has the capacity to allow this. Regarding data collection, you may be making things easier for Disney, but they have cameras everywhere and I would be surprised if they don’t do facial recognition. They may not know your name if you use cash for everything, but they know when you walk in that you’re that guy that comes in every Tuesday, sees Monsters Inc, then buys churros for everyone (with cash, of course). 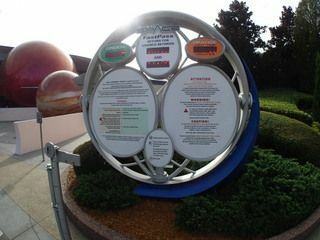 Are standard WDW resort cards applicable (i.e. don’t have Magic Bands)? Are Annual Pass RFID cards applicable (i.e. don’t have Magic Bands)? Does everyone in the group have to have an account to get FastPass+? Or, can I make FastPass+ for the four or five people in our group? Anyone know the answer to this question? I’m really starting to get freaked out about this fastpass plus thing, and have to be honest it’s making me want to opt out of Disney World all together. How in the heck if you are staying off site with a group does this work? I keep seeing the pre planning staying on site, or individuals with annual passes, but what about us poor folks that have a large group of people who chose to stay off property? Do I have to create an account for each child? If so, can I have it sent all to my email address? If anyone knows please post a response. Between Universal charging an arm and a leg for universal express pass, and Disney thumbing their noses to anyone that decides to stay off property, or even live in the state of florida, this trip is becoming a major stresser. I get it, stay at our hotel not theres…but jeeze. Maybe we will just hang out at our vacation home at the pool and not spend a months rent to go to either if we are going to be treated like second class citizens for not staying on property at either Universal or Disney. 2. Right now, Annual Passholders and others with non-MagicBand entrance media (like those who work for the company and have those passes) are issued a RFID-enabled card to pull Fastpass+ at the park once they get in. As of now, they can’t book reservations in advance either (let me know if that has changed for Annual Passholders). 3. No, you only need one account, to which you can add each of your family members as part of your party online, which enables you to make Fastpass+ reservations for each of you. Great comparison. I feel like there’s been a lot of focus on the negatives, like not being able to ride one particular headliner over and over again. But this really shows a comprehensive look at all the ups and downs of the systems. Until they figure out the park hopping issue, our strategy will be to arrive at park 1 for rope drop, ride as much as we can while morning crowds are low (til around lunch time), then have our fp+’s scheduled for late afternoon/early evening in park 2 when stand-by lines would be higher. In a perfect scenario, I’d love to be able to reserve more fp+’s once I’ve used all of mine for the day. Sort of a “sure, you can have whatever’s left now” kind of thing. I am disappointed with the Park Hopper limits because I have added Park Hopper most trips, and we use them a couple of times in the week if we go during moderate to busy park days. I think their direction may be to diminish the PH value and do away with it as fewer people purchase that option? I do think that the FP+ positives slightly outweigh the negatives. Se’ll see what FP+ is like when we’re down there again in March. Where can I find a listing of the fastpass + tiers for each WDW park? Seems to me that could make a big difference on which to pick. Anyone know when legacy fast pass will be gone? We’re expecting legacy FP to be gone from all four parks by the end of this week. 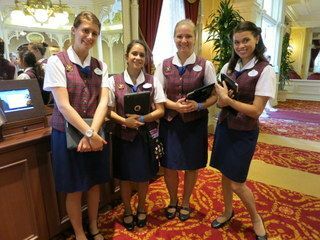 Have off site guests had trouble with availability of FP+ attractions once they get onsite? >> With FP, if you missed your reservation time, you lost that reservation forever. That only started to happen very recently. For most of FP’s existence, you could use the reservation at any time after its starting time (except for Soarin’). In fact, I seem to remember a certain Len Testa using Fastpasses from a previous trip – or was that a previous year…? I used to love being the official FP runner. It gave me such a rewarding sense of accomplishment and athleticism, weaving in and out, faster than the speed of light, leaving the hot and sweaty masses in my wake…. No more. Sigh. It seems to people I’ve talked to on this topic that Disney probably hated all the gamesmanship of the FP system and the lone people running through the park. They think they’re eliminating the need for backtracking. But backtracking is the key to quicker touring. One thing about FP+ I liked when we used it during an August trial was the ability to choose your times and be able to coordinate two between two rides. My son and I were able to get FP+ for Rock’n’Roller Coaster for the same time when my wife and my daughter got FP+ for Star Tours. Winners and Losers; i.e. who is “better off” than before? Who is worse off than before? And given an optimal touring plan, characterize worse off and better off in terms of minutes to complete a benchmark plan. I imagine it’s probably a pretty small amount of time if following a benchmarked touring plan. Now the snoozers are no longer losers potentially but only depending on availability. With legacy FP; the lines app predicted the FP return times depending on the time of day. This information could be displayed as part of the wait time forecast for that ride for that day. Is using a touring plan more important than ever? Or is the difference between using a touring plan and wandering around like a low information tourist the same as it was during legacy FP days? How long does it take to use a FP+ kiosk? (I’ve probably missed this, but it seems like it takes about 10 to 15 minutes). Maybe a chapter in the next unofficial guide book could be dedicated to these topics? These are great ideas. I’ll incorporate the general questions into our FastPass+ coverage. I’ll also see if there’s a way for us to track what FP+ opportunities remain throughout the day. We currently are season passholders. Does this have any bearing on possibly being able to make fastpass plus reservations ahead of time? – Most obvious choice: ride it first thing at rope drop when there is no wait, and then ride it later with a FP+. – Less obvious but supposedly people are saying this works: after you have used your first FP+ let’s say on Toy Story Mania, go back to the app or kiosk to edit your remaining two reservations. Word on the street is, you can select TSM to be one of your two remaining FP+s for the day, after the first reservation has been used, and obviously subject to availability at that time. As far as the logistics go, I’m basically a roll-with-it person. They used to do it one way, so I had a set of touring strategies tailored to that way. Now they do it another way, so I’ll build up new strategies. The one big change I see is on days when we plan to hop — I’ll schedule all FPs for the hopped-to park. I have noted over the years that loyal WDW fans sometimes feel that Disney takes their loyalty for granted, particularly DVC members and annual pass holders, but also people who make WDW their vacation destination every year. It seems clear that FP+ could serve as a low-cost but effective way to give guests who show a deeper commitment to visiting WDW a little extra something. Great post. Do you have a sense of how child swap will work with FP+? Hi Brian. I heard it is working the same. First parent/group goes through the ride, asks for rider swap pass. Then the second parent (technically up to 2 people, although supposedly they still let up to 3 people in, unofficially) can ride using the rider swap pass. Obviously the first group needs to use their FP+s, but the second group probably will get away without using theirs. I see this as an opportunity for conserving FP+s and re-riding favorites with the second group… Although it does take extra time to split the group to watch the littles, as it always has done. HTH! If all the FP+’s are granted as a group, what happens to the leftover FP+ for the child too short to ride? FP+ are not granted as a group. You can select different FP+ attractions for each guest. So you could get a Space Mountain FP+ for just tall big sis and a Small World FP+ for short little bro (and his adult companion). We were in MK on Sunday the 19th. We arrived early and found a lone cast member with a tablet near Tomorrowland (near the fireworks desert area) and asked about FP+, well he was there to do it (but we would not have known if we didn’t ask him in passing). He got our party of 8 all of our reservations we wanted. We were staying off property so were worried. Later in the day we saw very LONG lines of people waiting for FP Kiosk / castmember assistance. We also found all the FP lines were MUCH longer than with the old FP system. When we returned on Tuesday, we arrived late, about 1045 a.m. waited in a long line, not expecting much to be available. We got FP for Big Thunder Mountain for 1110a.m., so almost immediately. And were able to get our other two selections (Speedway and Buzz) at 1214 and 1315. So, we were there as day guests, for 1/2 a day, arrived late, and were able to see three desired attractions (Peter Pan was not available), defeat some Villians, eat lunch, trade pins, have a snack and watch a parade. All with a late arrival with thick crowds. So, that was an unexpected plus. I asked about the Annual Passholder and the prepared answer was, well, those staying on property, you know, they only come once every 4 or 10 years and while we appreciate our annual passholders, you get to come more, so that is why it is for on site guests. WEAK and Disappointing answer!!!!! It should be the other way around….if I come twice a year, my vacation time and money and am prepping the next generation, that should be rewarded more than the once every 4 or 10 year guest…imho. So, the defense was supposed to make me feel sorry for the poor on site resort guests, who only get to come rarely. Right. oh, and my son got a haircut at the Barber Shop! All from 1045 a.m to 3p. We used to be able to send one person from the group to get legacy FPs for the group – can one or more people take everyone’s ticket and make FP+ reservations for the group while the others start touring the park? Or does each person have to be present at the kiosk, with their own ticket in hand? Also, we are planning to split our family into two groups: Group A has no little kids, Group B has little kids. Group A was planning to arrive at rope drop. Can Group A get FP+ reservations for Group B for later in the day, assuming we have Group B’s ticket numbers (but obviously not their physical park tickets)? Or do we have to wait until Group B arrives later in the morning, then all go to the kiosk together with tickets in hand and hope there is still availability? Thanks in advance if anyone knows! I was able to get fp+ reservations holding all parties tickets. I don’t know about the numbers being sufficient, but they did say eventually you could do all of this with your phone. Thank you. I do hope they let us “off-siters” use the phone app to modify sometime soon. Would help a whole lot! Thanks for answering. A point of clarification, this post refers to Walt Disney World only. The legacy Fastpass system remains unchanged at Disneyland Resort, with future plans as-yet officially undisclosed by Disney. Yes, thank you for making this clearer. There was a question posted that I haven’t seen answer to, and wondered if anyone out there could confirm. Do you have to have an account set up for every member of the party? We will have kids with us, and will be staying off property, how does that work with a group of people wanting to reserve times? Everyone does not need their own account. My children do not have their own Disney accounts – I have them listed under mine and I am able to manage their FP+ reservations myself. I can make or change their FP+ individually or as a group. If we were planning to park hop (one park in the AM, one in the PM), can we make our advance FP+ selections for the PM, or does it need to be at the first park we are visiting that day? If the latter, seems like I might as well tweak our itinerary to get rid of park hopping. You can certainly make your FP+ reservations for your second park of the day. I’ve done that several times myself. The strategy you suggest is one that many guests are using – tour one park in the morning when lines are short and then use the FP+ reservations at a second park when the standby lines are longer. Resort guests can, but can offsite guests?? Since you can’t use MDE ahead of time to schedule FP+, you must seek out a kiosk or cast member upon arrival in a park. So can you schedule FP+ for the park you are hopping TO from the park you are IN? Or must you wait until you enter the park you hop to? These are great questions. I’m headed back down to Orlando in mid-Feb and I’m going to interview some FP+ kiosks CMs to suss out the answers to all this. In the meantime, I’d love to hear if other guests have input. Ok, so I was feeling better about the fast pass plus process now that I have a bit more info, not liking it but will deal. However over the last month I have tried making reservations through Disney experience and gotten a server maintenance message. I think Disney tried to do too much too soon and honestly this is a major turn off. I feel like our trip has been taken over by all this. Disney keeps jacking up prices and catering to those with the biggest pocket books. Why don’t they just go the route that Universal did by charging for express pass, at least it’s not hiding an agenda and straight forward. I feel sorry for people that aren’t tech wavy, and they are out there. My parents don’t even have smart phones for goodness sake, and they aren’t the only ones. So done with this!!! Do you know if they’re still issuing paper “Rider Switch Passes”? How does that system work now?